I’m pretty sure I have a problem. I can’t stop myself from creating little worlds for my smalls to play in. I can’t walk through the dollar store, without seeing something and thinking to myself, “oooo, that would be a great small world prop.” I just can’t help it. And so it seems, you will be subject to another and another and another…until I’ve exhausted all avenues. 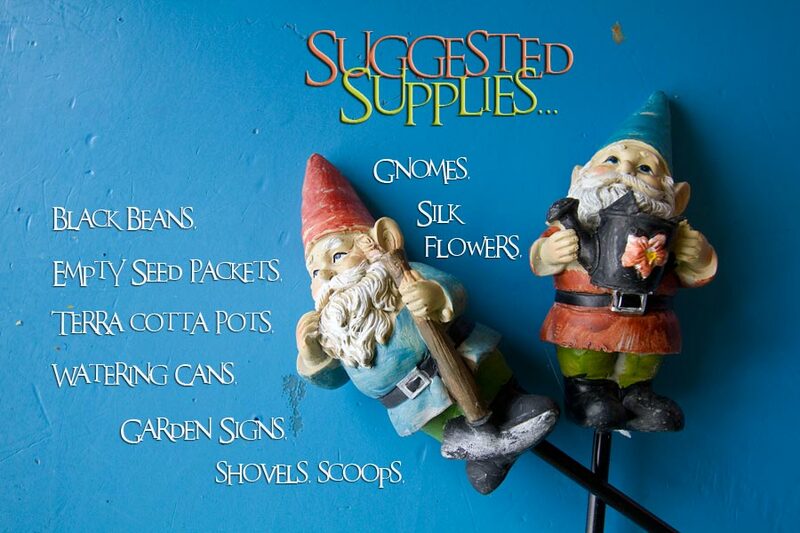 I was walking though a store called Jysks the other day, looking for seed row labels for my garden, and I spotted the gnomes. And that’s where it all started. Now, let’s back up a bit to the terra-cotta pots. 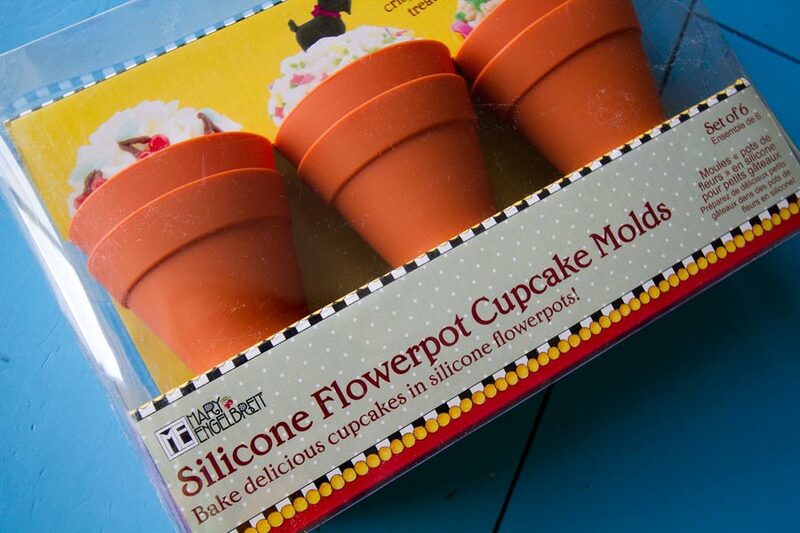 I was lucky enough to find these little silicone cupcake molds at our HomeSense a loooooong time ago. I thought I may need them “someday” (you should know that kid bloggers are borderline hoarders), and my “someday” had come! I wanted this small world to be toddler-friendly, and some of my toddlers might feel the need to bang the pots together. These little silicone ones are lightweight, and they won’t break. Perfect. Remember when you are building small worlds, to think outside the box. Things don’t have to serve the same purpose in a small world as they do in the real world. Imagination is the key. 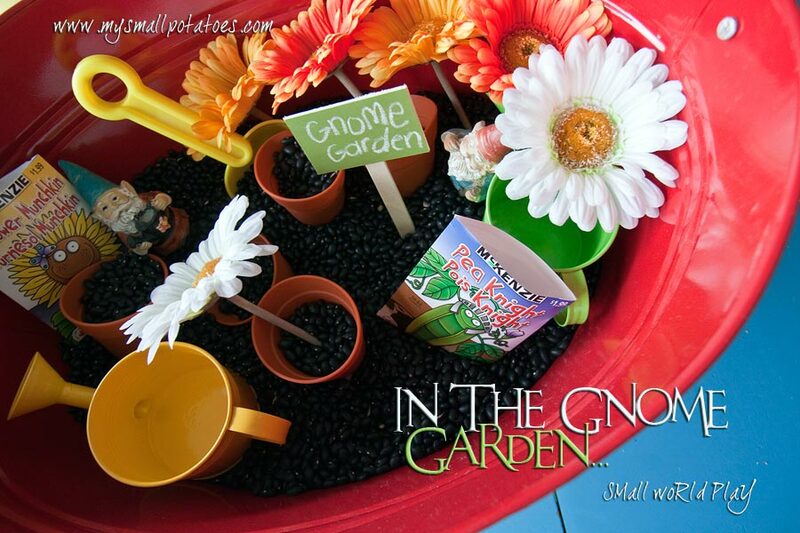 Enlist some of your smalls to help…they have fantastic ideas! 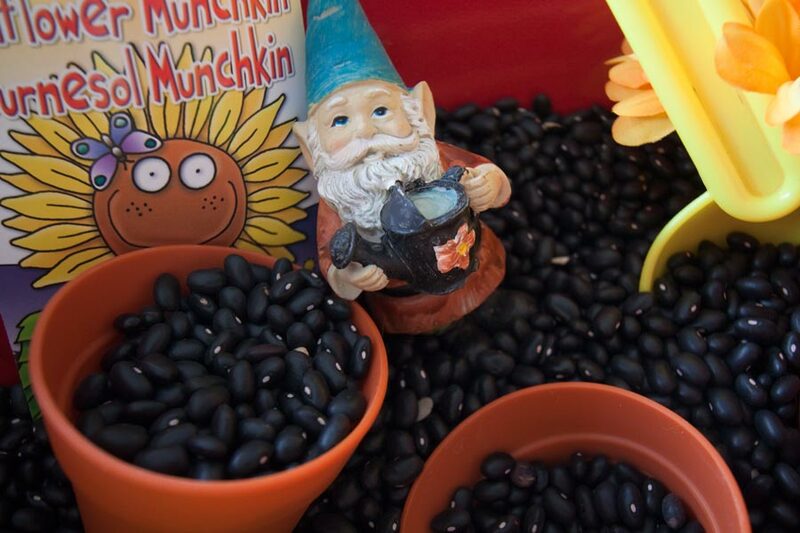 Anyhow, we filled the tub with black beans for the “dirt”. I wanted it to look like soil, but be clean enough to have indoors. Then I cut the long stems off of the silk daisies so the children could “plant” them. I found the little tin watering cans at Jysks also. They were only $4.50 for 3 of them. I tossed in a shovel from our sandbox and a few empty seed packets. 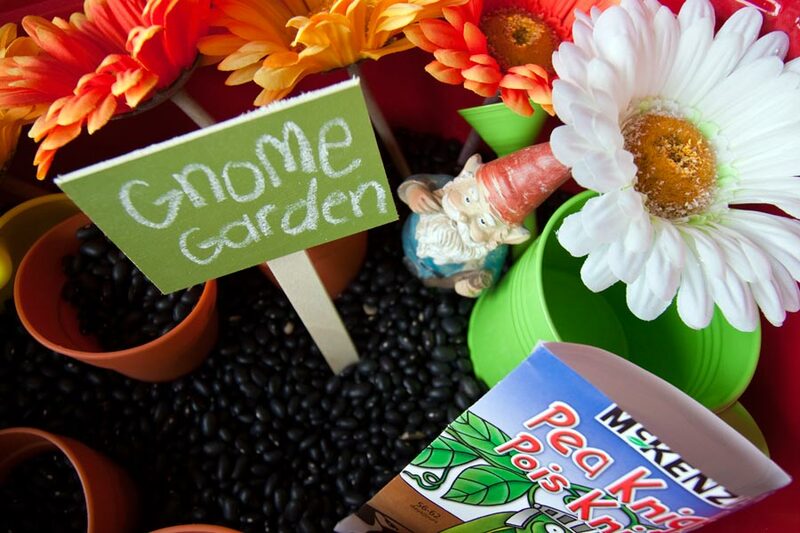 I had happened to have the little wooden garden signs leftover from Coco’s bunny tea party, so I chalked “gnome garden” on one of the signs, and put it in the “soil.” You could always make one out of card stock and a twig. Now the only thing left to do, is play. And I assure you, they will. 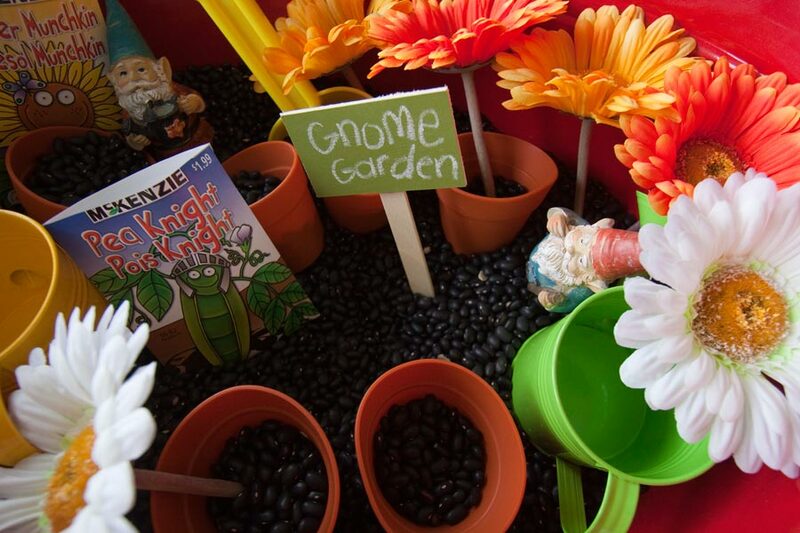 If you are worried about beans in your carpet, put down a plastic mat or table-cloth. This way you can gather up the mat and pour the beans back in the tub with no problem at all. 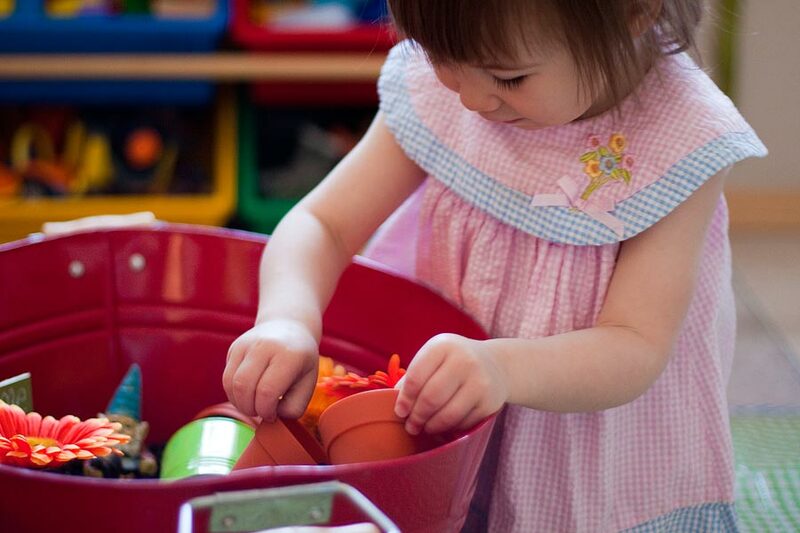 Have a great day of play, and thanks for stopping by! Those silicone pots are such a great find! 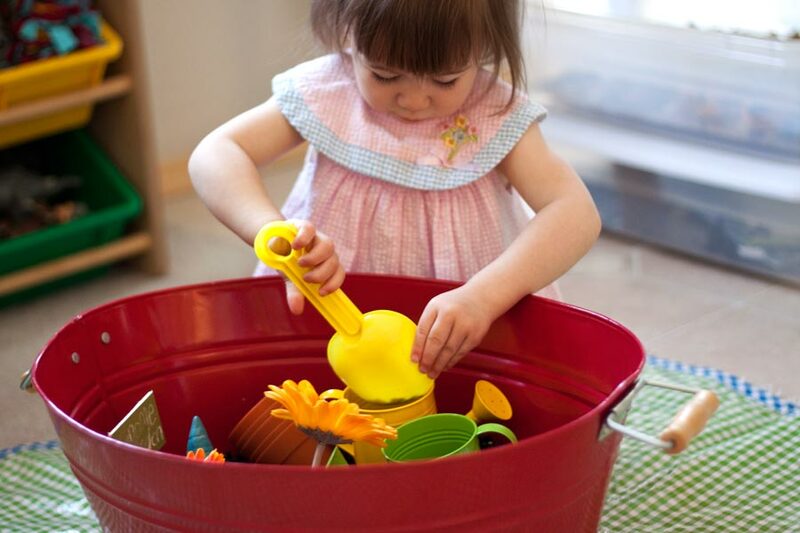 We did something similar to this with playdough and my son had a blast! 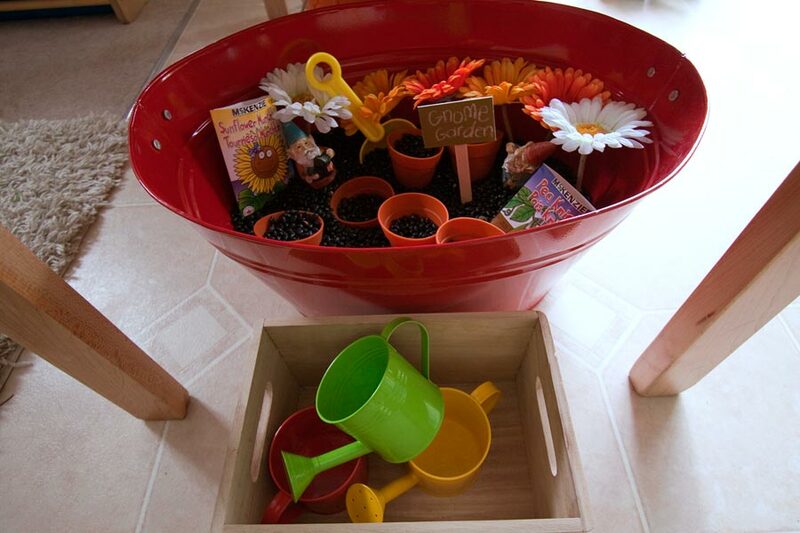 A great way to introduce gardening! Your pictures are just captivating! This is also adorable! !